While the entire nation is preparing for the biggest Cricket extravaganza, Reliance Jio is looking to sneak in and lure the cricket fans with its attractive offers. Today, the high-flying telco has introduced a new Cricket Season Pack which will allow the cricket fans to get access to the live matches on mobile and stream almost every Live match throughout the duration of Indian Premier League (IPL). The Jio Cricket Season Pack costs Rs 251, and it will offer 102GB of data for the validity period. That said, Jio is yet to announce details of when the plan’s going to be made available to consumers for recharge. The plan’s validity is 51 days. Also, Jio is yet to reveal the details of the plan such as the daily data cap, which most probably will be set as 2GB per day, considering the validity of the plan. 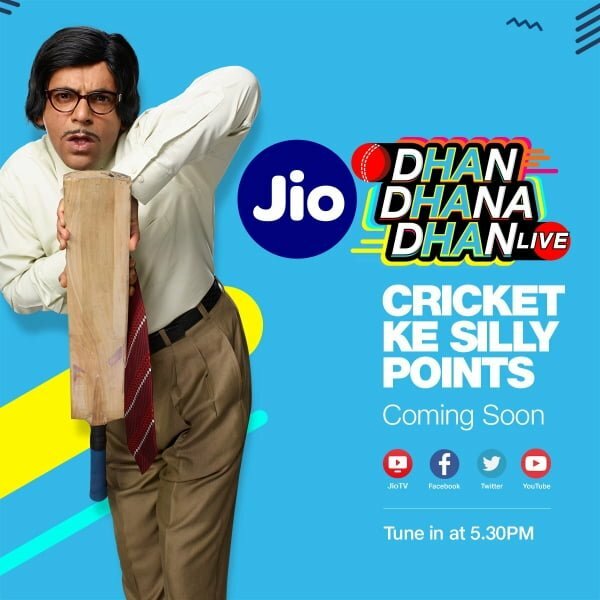 Alongside the Cricket Season Pack, the telco has announced two new initiatives- ‘Jio Cricket Play Along,’ which is a mobile game where participants can plan and win prizes. Secondly, Jio has launched a show- ‘Jio Dhan Dhana Dhan Live,’ which is a comedy show. The Dhan Dhana Dhan Live show can be exclusively viewed on MyJio application, and Jio has opened the show for both Jio and non-Jio consumers. Talking about the Jio Cricket Play, it’s a game which is open to all the smartphone users in India and can be played in 11 Indian languages. Spanning seven weeks and 60 matches, Jio is aiming to bring second-screen experience through its real-time interaction during the match time. “Jio aims to bring people together to celebrate the most loved sport in the country by turning spectators into participants, getting India closer to Cricket, their favourite teams and players by providing an engaging experience for cricket fans in India,” said Jio in a media release. Not only Jio, Hotstar also introduced a dedicated Sports Pack of Rs 299. Reliance Jio is also battling for the BCCI media rights alongside Star India and Sony Pictures Network India. At the end of the second day, the e-auction ended at Rs 6032.50 crores, and the e-auction will continue on April 5 again until the participants back out drop out of the bidding. Don’t do this plan. It is a data only plan base plan is still require to make outgoing calls and SMS. Some people who have never travelled anywhere in their life keep blabbering whatever their bosses say. Jio’s coverage has gotten exceptional during travelling. AVOID cartel’s coverage is pathetic during travel comparitively. Forget 4G, even calls don’t go through on avoid while you’re out of town limits. Jio was pathetic at the start of 2017 and I used to criticize their network but it has improved commendably right now. Still a long way to go but they have been doing work diligently to improve their services. +1 GG but in my case Jio is fantastic since 2016, speeds are constant.